In last week’s post I wrote about how uncertainty around change (and an absence of planning for change) makes many of our clients feel stuck. Stuck in their injury, illness or disability and worried that this is how it’s always going to be. I want to explore how we still chase down medical certification as a way of bringing about change and helping our clients improve their function. Do you ever wonder why it rarely works? Why do many of our clients with a certified capacity for work (provided either by a GP or medical specialist) struggle to turn this “capacity” into successful employment? Work capacity tends to get put on a pedestal as they key indicator of someone’s work readiness. Capacity is important – we need to gauge a person’s level of function before we can move forward – but it is not what drives this process forward in our clients’ eyes. What drives people forward is the sense that they can implement their capacity. How will I cope when I’m so tired when I get home from work? How will I look after my kids when I’m too fatigued at the end of the day? How will I get to work on time and manage my illness while I’m there? Where does the rest of my life fit in? 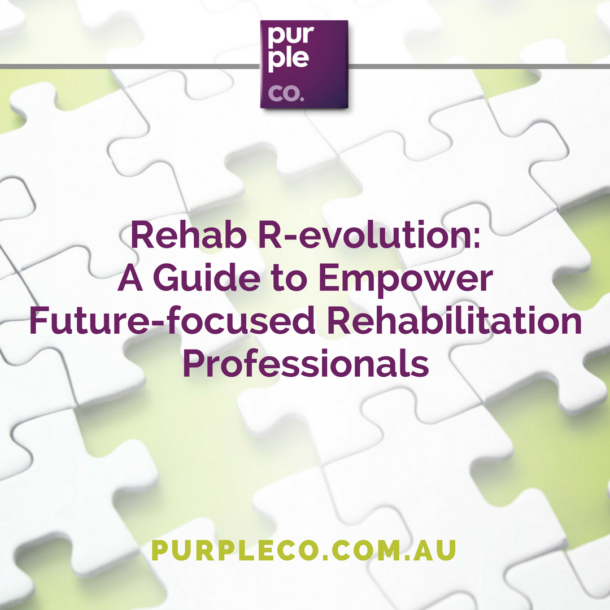 As Rehabilitation Consultants, we are in a unique position to take this big-picture view alongside our clients. How do we help them plan for how work fits into life? How do we help them turn work into something that complements the things that matter to them? How do we help them manage their injury or illness at work so that work is sustainable and a part of recovery? Working with our clients to plan for the life changes that work will bring is essential. It is the only way we can help our clients increase their own sense of capacity. When it comes to change, the most important certification of capacity is the one that our clients give to themselves.